The Law Building, at 3208-3210 Third Avenue, is located across the street from the old Bronx Borough Courthouse. 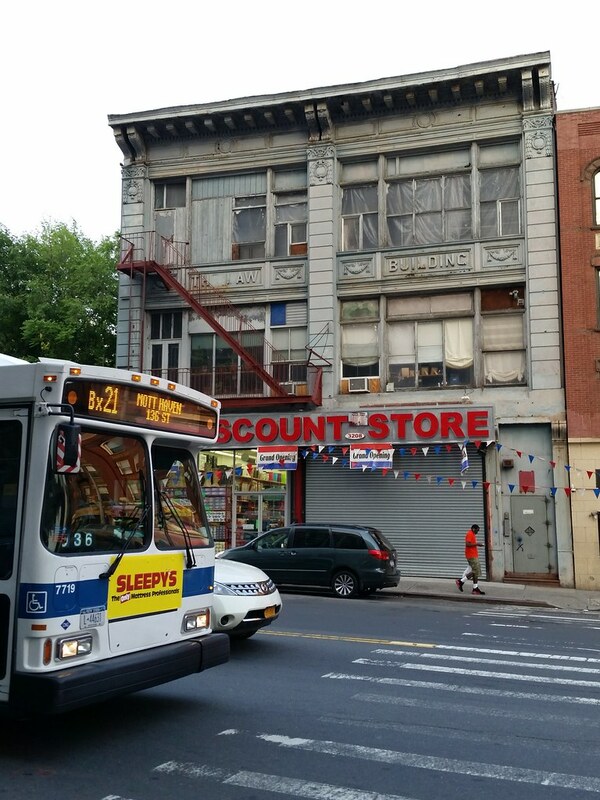 True to its name, the building was formerly occupied by law offices, and was also home to the designated auction room for court-ordered sales of Bronx real estate, not to mention a bakery and restaurant where at least one kid's bar mitzvah reception was held. One of the lawyers who hung out his shingle here, Edgar Hirschberg, once represented, in the matter of a disputed election, Michael J. Garvin, the "Tammany hack of little knowledge and less repute" who stole credit (and payment) for the design of the aforementioned courthouse from Oscar Bluemner. Your digging research knows no bounds! Do you check ALL the birth/confirmation/bar mitzvah listings for ALL the years? ?